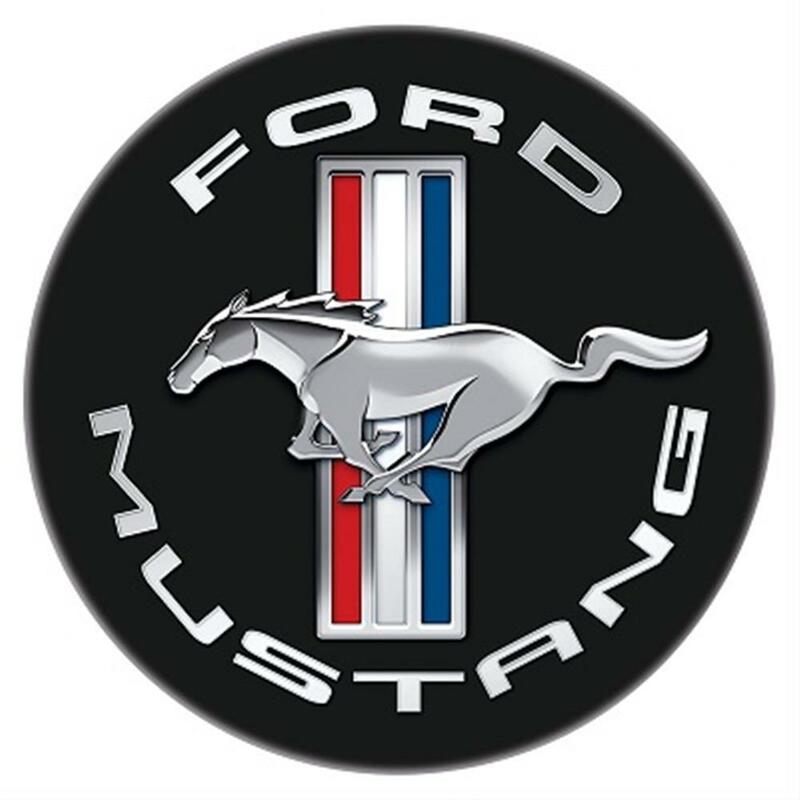 Ford Mustang Bar Stool with Backrest FRD-42203, Mustang Garage Bar Stool - California Car Cover Co. 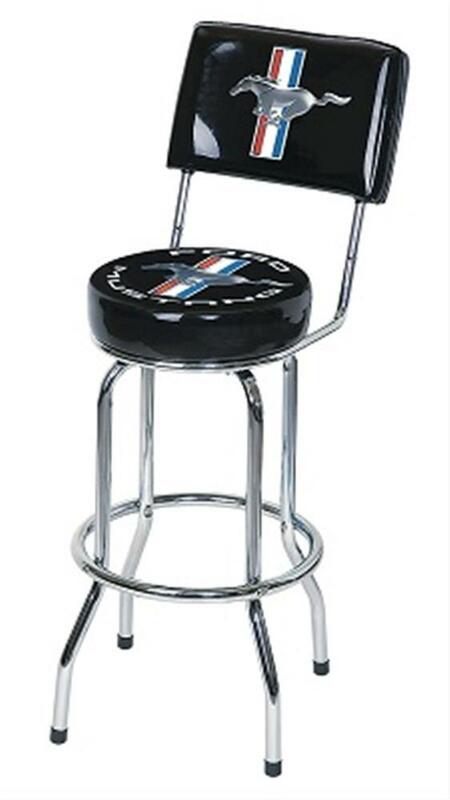 Celebrate the legend of the pony with the Ford Mustang Backrest Bar Stool. Perfect for in your home or garage. Constructed from heavy gauge 1" tubular steel frames with lustrous chrome plated finish. Commercial grade vinyl covering screened on the underside so designs will not scratch off with use. Thick foam padded seats rotate on a 360 degree revolving swivel. Easy assembly required. Recommended for indoor use only. Dimensions: Seat height 30" Seat Diameter 14" Backrest Height: 42". 250 pound weight capacity.